Electronic copy of 1950 book by Lee Owens, with music arranged by Viola Ruth. Excellent resource made available through the Internet Archive. The book can be read online, downloaded as a PDF file, or saved for reading on a Kindle device or other electronic book readers. 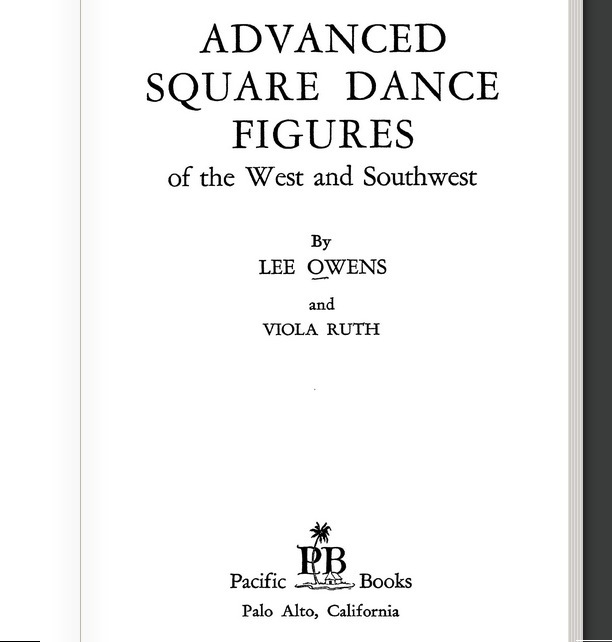 As the title implies, this book contains more complex dances than the first one by Owens. Each dance has a detailed description of the figure, followed by music for a suggested tune and the actual suggested call. 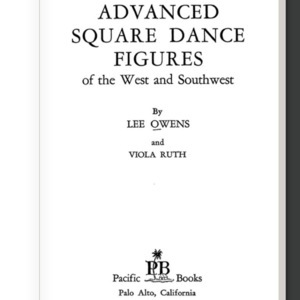 Lee Owens, “Advanced Square Dance Figures of the West and Southwest,” Square Dance History Project, accessed April 24, 2019, http://squaredancehistory.com/items/show/868.